Hand carved branch incense burners. Full of that soothing and distinctive cinnamon spice. Perfect for gently scenting your home, relaxing or as a gift. Delicately spicy cardamom and sweet vanilla come together in this warm and exotic fragrance. 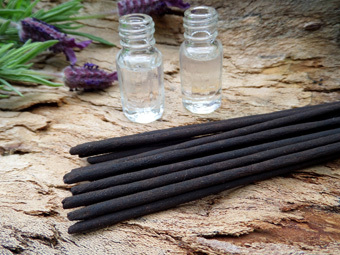 - Masterfully hand rolled from a traditional Indian incense recipe, our natural incense sticks are scented only with the various resins, flower petals and pure essential oils of the fragrances and coloured with natural dyes. 100% free from chemicals and other synthetics, they're perfect for yoga, meditation and scenting your home. 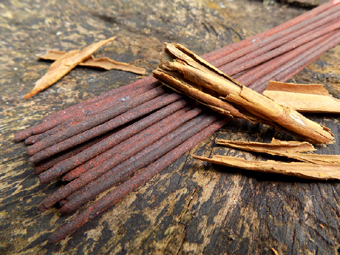 A potent and smooth burning incense. - Traditionally distilled with steam and water in small batches from organic and wild produce, our pure perfume oils are nothing less than the truest representation of natural fragrance. Gentle on the skin, senses and environment, you'll fall in love with our range of the most beautiful and distinctive scents in nature. 100% free from chemicals and other synthetic - just pure fragrance. - Certified 100% pure, our wild and organic agarwood oils are lusciously thick, velvety and dark. We currently offer 4 incredible distillations of wild and organic Assam and Cambodian agarwood oils. Our artisans distilled their first bottle of agarwood oil in 1816. Now, seven generations on, they stand at the forefront of agarwood oil production. We also have organic agarwood chips. 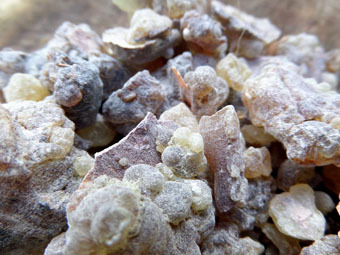 - Our frankincense resin is traditionally and carefully harvested from the species Boswellia sacra in the Dhofar region of Oman. 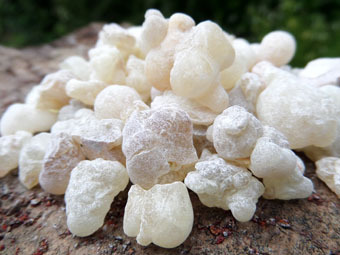 More powerful and pure burning than incense, our frankincense resin is sweet and ethereal with gentle citrus and hints of crushed pine. Long lasting, potent, first grade frankincense. Sourced exclusively from organically grown trees.